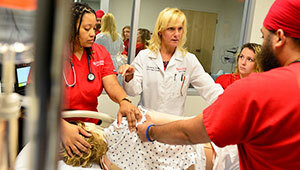 Make your gift online to the Rutgers School of Nursing–Camden Scholarship and Support funds. Your faith in our students' potential supports the next generation of nurses who will translate knowledge into expert care and create healthy communities. 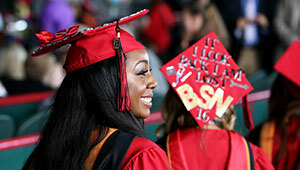 Share our pride by giving a pin to a Rutgers School of Nursing–Camden student. Join our journey to create a new tradition for the School while connecting to its treasured past. 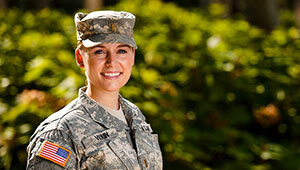 Your generous gift makes an immediate impact to honor our deserving students. Fred Davis, Director of the Rutgers–Camden Office of Military & Veterans Affairs, and Donna Nickitas, Dean of the Rutgers School of Nursing–Camden, have proudly joined forces to establish a Nursing Veterans Scholarship Fund to assist student veterans pursuing a nursing degree. Each year, our graduating seniors are invited to become 'Scarlet Seniors' and give back to areas that matter most to them by supporting a school, a program, student organization, or a multitude of other areas here at Rutgers–Camden. Learn how these gifts add up to make a major impact! From bequests to endowed gifts, real estate to stocks, there are many ways to give. 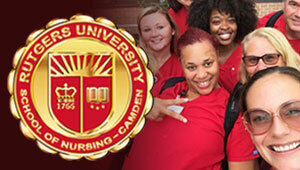 Contact the Rutgers University Foundation to set up a gift that matches your interests to Rutgers School of Nursing–Camden’s strategic priorities. Many companies participate in a matching gift program, and you can ask to find out if yours does.